In an effort led by CEO Mark Zuckerberg, Facebook has plans to rearchitect WhatsApp, Instagram direct messages, and Facebook Messenger so that messages can travel across any of the platforms. The New York Times first reported the move Friday, noting also that Zuckerberg wants the initiative to “incorporate end-to-end encryption.” Melding those infrastructures would be a massive task regardless, but designing the scheme to universally preserve end-to-end encryption—in a way that users understand—poses a whole additional set of critical challenges. As things stand now, WhatsApp chats are end-to-end encrypted by default, while Facebook Messenger only offers the feature if you turn on “Secret Conversations.” Instagram does not currently offer any form of end-to-end encryption for its chats. WhatsApp’s move to add default encryption for all users was a watershed moment in 2016, bringing the protection to a billion people by flipping one switch. Facebook is still in the early planning stages of homogenizing its messaging platforms, a move that could increase the ease and number of secured chats online by a staggering order of magnitude. But cryptographers and privacy advocates have already raised a number of obvious hurdles the company faces in doing so. End-to-end encrypted chat protocols ensure that data is only decrypted and intelligible on the devices of the sender and recipient. At least, that’s the idea. In practice, it can be difficult to use the protection effectively if it’s enabled for some chats and not for others and can turn on and off within a chat at different times. In attempting to unify its chat services, Facebook will need to find a way to help users easily understand and control end-to-end encryption as the ecosystem becomes more porous. WhatsApp users, for example, can assume that all of their chats are end-to-end encrypted, but what will happen in Facebook’s newly homogenized platform if an Instagram user messages a WhatsApp user? It’s unclear what sort of defaults Facebook will impose, and how it will let users know whether their chats are encrypted. Facebook can also glean more data from unencrypted chats and introduce monetizable experiences like bots into them. The company has had a notoriously hard time earning revenue off of WhatsApp’s 1.5 billion users, in part because of end-to-end encryption. Facebook emphasizes that this gradual process will allow it to work out all the kinks before debuting a monolithic chat structure. But encryption’s not the only area of concern. Privacy advocates are concerned about the potential creation of a unified identity for people across all three services, so that messages go to the right place. Such a setup could be convenient in many ways, but it could also have complicated ramifications. In 2016, WhatsApp started sharing user phone numbers and other analytics with Facebook, perforating what had previously been a red line between the two services. WhatsApp still lets users make an account with only a phone number, while Facebook requires your legal name under its controversial “real name” policy. The company maintains this rule to prevent confusion and fraud, but its rigidity has caused problems for users who have other safety and security reasons for avoiding their legal or given name, such as being transgender. In a Wall Street Journal opinion piece on Thursday evening, Zuckerberg wrote that, “There’s no question that we collect some information for ads—but that information is generally important for security and operating our services as well.” An indelible identity across Facebook’s brands could have security benefits like enabling stronger anti-fraud protections. But it could also unlock an even richer and more nuanced user data trove for Facebook to mine, and potentially make it harder to use one or more of the services without tying those profiles to a central identity. 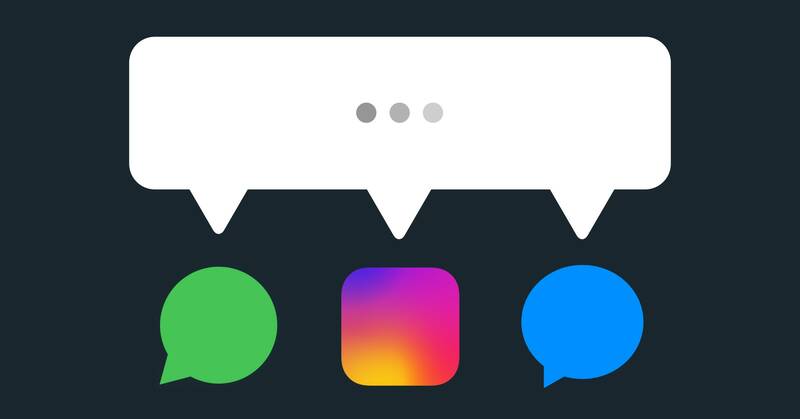 Such a change to how chat works on the three brands isn’t just a potentially massive shift for users—it also seems to have stirred deep controversy within Facebook itself, and may have contributed to the departure last year of WhatsApp cofounders Jan Koum and Brian Acton. End-to-end encryption is also difficult to implement correctly, because any oversight or bug can undermine the whole scheme. For example, both WhatsApp and Facebook Messenger currently use the open-source Signal protocol (used in the Signal encrypted messaging app), but the implementations are different, because one service has the encryption on by default and the other doesn’t. Melding these different approaches could create opportunities for error. And while end-to-end encryption can’t solve every privacy issue for everyone all the time anyway, it’s harder to know how to take advantage of it safely when a service doesn’t offer it consistently, and creates potential privacy issues when it centralizes identities.